Origin:	South of the country. Chief areas of distribution:	Periquita and João de Santarém. This is one of the most widely distributed varieties in Portugal, most widely known as the Periquita. The name comes from Cova da Periquita, a vineyard owned by José Maria da Fonseca. It was from here that the triumphal progress of this variety began. Vincente Alarte (1711) knew a Castellão variety and referred to the variety's susceptibility to coulure. Historic and regional synonyms:	Castelão Francês (Ribatejo), Mortágua (Cartaxo), Santarém (Douro). Rebelo da Fonseca (1790) mentions a Castellam. Teixeira Gyrão (1822: XXIII) also refers to the Castellão. Homonym(s):	Castelão Branco (Nº 78); Castelão (Nº 81). Area under cultivation:	20,500 ha. Varietal variability:	Medium to low. Availability of propagating material:	Ribatejo. IPR quality wine:	Encosta de Aire and Alcobaça. Regional wine:	Minho, Trás-os-Montes, the Beiras in the sub-regions of the Beira Alta and Beira Litoral, Estremadura, Ribatejo, Terras do Sado, Alentejano, and Algarve. Young shoot (form of tip):	Open with pale crimson end. Dense hairs. Young leaf:	Yellowish, very dense hairs on ventral side. Mature leaf:	Medium size, pentagonal, five lobes, medium green blade, irregular, medium blistering on upper side of blade, hairs of high density on lower side of blade, medium to large convex teeth; slightly open wedge-shaped petiolar sinus, open V-shaped upper lateral sinuses. Bunch:	Medium to large, conical, dense, short peduncle. Berry:	Round, medium to large size, blue-black, berry skin of medium thickness, firm flesh. Time of bud burst:	Early. Vigour of shoot growth:	Medium. Pruning weight::	(1,200 – 2,200 kg/ha, depending on the clone). Shoot attitude (habit):	Erect (Heliotropic). Length of internodes:	Long to medium. Shoot length:	Medium to long. Tendency to form lateral shoots:	Low, only at the end of very vigorous vine shoots. Rate of multiple bud bursts:	High: 42% of all buds. Bud fertility index:	Medium: 1.75 flowers per shoot (J. Araújo). Yield:	Index 285 (J. Araújo). High, over 20 t/ha. (RNSV statistical value: 3,340 kg/vine (Average of at least 40 clones in Pernes over 3 years). Winkler Index:	1,690 with a yield of 14t/ha (Montemor). Sensitivity to abiotic factors:	Very robust variety. Systemic viral infection prior to selection:	45% GLRaV, 3.5% GFkV, < 50% RSPV. Susceptibility to Pests:	Susceptible to the vine leafhopper and the grapevine moth (Palmela). Bunch size:	Medium to large (120 - 270 g), depending on the clone. Seeds per berry:	1.6-2.4. Average varies depending on the clone. Vineyard conduction system:	All types of training system are suitable. Both the Guyot and cordon are used, the latter more predominantly in Atlantic zones. Soil requirement:	Unusually adaptable to the most diverse types of soil, although with variable results as regards quality. In order to produce a good quality wine, deep soils of the type podsol (Pegões), or pleistocene sandy soils (Ribatejo grasslands) or calcareous clay soils (Estremadura). Climatic requirements:	Maritime, if possible. 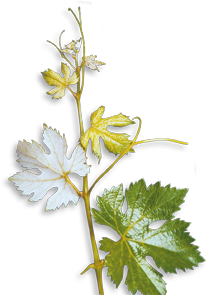 Vine density:	Normal, depending on the region and soil fertility. Rootstock:	Recommended: P1103, Ru 140, and SO4 (to prevent excessive yield). Compatible, but not as worthy of recommendation: R99, R110. Incidence of coulure/millerandage:	Traditional material is extremely sensitive, but recent clones quite resistant. Spoilage of mature berries:	Very minimal. Risk of bird damage:	Medium. Machine harvest suitability:	Well suited. Potential alcohol content:	12 - 14% vol. Natural acidity of must:	Total acid content 3.7 - 5 g/l, varies widely depending on the clone. Total anthocyanins:	237 - 696 mg/l. Total phenols index (at 280 nm) of must:	30 - 50, depending on the clone. Colour intensity of wine:	Medium: Varies between 8 and 18, depending on the clone. Wine colour tonality:	0.7 – 0.85, depending on the clone. Oligomere Prozyanide:	B1: 51 - 127,1 mg/l; B2: 12 - 48 mg/l; T2: 9,5 - 51,2 mg/l. Total polyphenol index (at 280 nm):	1,255 – 1,987 mg/l. Risk of oxidation of wine:	High. It is recommended that the wine be drunk young. Aromatic profile:	Terpenoid compounds, 568 μg/l (1997), 147 μg/l (1998); total benzenoid compounds, 568 μg/l (1997), 331 μg/l (1998); norisoprenoid compounds: 1022 μg/l (1997), 377 μg/l (1998). Ageing Potential:	Good, if the wines come from the right area (Setúbal). Ages well in barrels. Blending recommendation:	Aragonez, Trincadeira, Moreto (young wine), Alicante Bouschet. Wine Descriptors:	The wines of this variety have a garnet colour and pronounced fruity aroma of blackcurrant and fruits of the forests. With ageing, it acquires hints of compote, and even of the meatiness of wild game. In the mouth, the wine is smooth, balanced with fresh acid, and has a lasting finish. It should normally be drunk early, when it is at its best (Paulo Laureano). 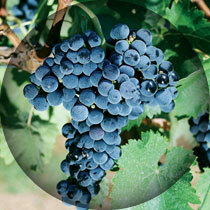 Wine quality:	Very pleasant, varies with climate and soil. Under ideal conditions this could become a wine of some importance. Variety Characteristics:	Rate of multiple bud bursts, susceptibility to coulure and millerandage. Cultivation in unsuitable regions can lead to excessive yield, or significant loss of quality.